Yesterday I spoke about the ease with which you could book a Hyatt award stay by transferring Ultimate Reward points into your Hyatt Gold Passport account. Today. I want to discuss the benefits of the Hyatt Gold Passport program. First of all, it is very easy to obtain entry level status in the Gold Passport program. The only thing you need is a Chase Hyatt Visa card. The annual fee for this card is $75/year. The card comes with a sign up bonus of two free nights at ANY Hyatt worldwide. That is a great deal! If you already have Hyatt Gold Passport Platinum status when you sign up, in addition to your two free nights, you get two confirmed suite upgrade certificates. The suite upgrade certificates are good for paid stays up to 7 nights. All you have to do is book the least expensive eligible room, then call the Gold Passport line and they will confirm your upgrade. Pretty Suite! Eligible room rates can usually be discounted rates like AARP or AAA discount, but rooms booked through a third party like Travelocity may not be eligible. If you already have Gold Passport Diamond status when you sign up, your two free nights are in a suite. I got my Platinum status by signing up for a Milepoint Premium membership for $59. One of the sign up perks of membership was instant Hyatt Platinum status for a year. Once the Platinum status posted to my account, I applied for the Hyatt card and received the two free nights and suite upgrade certificates. For your $75 annual renewal fee you will receive one free night in a category 1-4 Hyatt property. That by itself is a great value. IMHO, Hyatt treats their elites better than any other major Hotel chain. After 5 qualifying stays or 15 eligible nights in a calendar year, you will enjoy automatic upgrades to Platinum membership that lets you experience a premium level of benefits and rewards. After 25 eligible stays or 50 eligible nights in a calendar year, you will experience the Diamond level of membership and have access to their most elite benefits and awards. Receive exclusive access to the Regency Club or Grand Club lounge featuring complimentary continental breakfast and evening hors d’oeuvres. Hyatt upgrades are usually easier if you email or fax a request ahead of time. One trick I have found is to visit a site like Trip Advisor. Usually there is someone on Trip Advisor complaining about their stay. Someone, (usually the hotel manager) will respond concerning the guests problem. You then have the name and usually some contact information on the hotel manager. I will then use that information to make my requests. Hyatt also has something called a Diamond Challenge. If you know that you are going to have some paid stays coming up, you can call and request a Diamond Challenge. You must have equivalent status with another hotel chain. The easiest one to get is Hilton by virtue of spending $40,000 on your Citibank Hilton card. You must complete 12 qualifying nights to maintain your Diamond Tier status through the following year. After you complete 12 eligible nights during our promotion period, Diamond 30% point bonus will be awarded for all eligible stays when you have chosen points for your stay. Having status with multiple hotel chains increases your chances of being able to book award stays and receive complimentary upgrades. It can be very easy to obtain status for big spenders as both Starwood and Hilton provide mid tier status just for credit card spending. Once you have status with one, it becomes easier to obtain it with another. I wrote previously about "Why I Believe the Experts Are Wrong About the True Value of Points". The basic premise of that article was that we make decisions about purchasing things based on how easy or difficult it is to replace the currency that we are about to spend. In other words, "the value of a dollar". Intuitively we know how easy or difficult it is for each of us to replace the money in our bank account. The decision about how easy or hard it is to replace miles or points in our account is not so clear. We don't understand the "value of a point" as intuitively. Today I want to use a specific example demonstrating my point. To me, flexible points like Starpoints or Ultimate Rewards points are a very valuable currency. Starwood points are probably the best way to accumulate airline miles because of the 25% bonus you receive when transferring into any one of their 31 airline partners. You are earning the same 1:1 ratio of dollars spent to miles earned as you do on your branded airline card, but the 25% transfer bonus means that you are really earning at a ratio of 1.25:1. Ultimate Reward points are earned through spending on your Chase Sapphire and Chase Ink cards. Ultimate reward points are much easier to earn than Starpoints, but they have fewer transfer partners. Airline transfer partners include; British Air, Korean Air, Southwest and United. Hotel transfer partners are Hyatt, Priority Club, Marriott and Ritz Carlton. The Chase Sapphire card has a 2X bonus category for Restaurants and Travel. Travel is not just limited to airline tickets either. Pretty much any travel related expenses like trains, cabs, shuttles, limousine service, etc are included. The Ink Bold and Ink Plus cards from Chase earn 2X points on gas purchases and 5X points on office supplies, telecommunications, cable and satellite TV and Internet. At 5X spending, points rack up quickly. Every time I am in an office supply store, I will buy two $500 Visa or MasterCard gift cards. They cost $5.95 each. For my $1011.90, I will earn over 5000 Ultimate Reward points. That brings me to today's point about Hyatt hotels. Hyatt's award chart looks like this. I can instantly (as soon as they post to my UR account) transfer 5000 Ultimate Reward points to my Hyatt account in a matter of minutes. I can then use those 5000 Hyatt Gold Passport points to book a category one Hyatt property like the Hyatt Place in Pittsburgh. This hotel is very centrally located to the downtown and is walking distance to the ballpark. That room for the night of April 6th (a date I just picked at random) is selling for $349 for the night. I can book that same room with 5000 Hyatt Gold Passport points! For my $11.90 I get a $349 room for the night. That's before room taxes too. That's all I really "spent" as I still have two $500 gift cards left. I don't need to do the math to know how great a deal I just got. By virtue of having a Chase Hyatt card, I also have Hyatt Gold Passport Status. That might entitle me to a room upgrade! Let's look for a Marriott in Pittsburgh for the same night of April 6th. The least expensive Marriott I could find was the Courtyard at the airport. It sells for $119/night plus taxes. You can book that same room with 15,000 Marriott Reward points. If I have the Chase Marriott Rewards card, I can earn the same 2X points on restaurants and travel as the Sapphire card, but there are no 5X categories other than Marriott spending. While Marriott is also a transfer partner with Ultimate Rewards, I will have to work much harder to earn enough points to book a room that sells for 1/3 as much as the Hyatt room. Which room would you book and how would you pay for it? I think the decision is a relatively wasy one to make. While most of us understand the "value of a dollar", very few of us understand the value of a point. I hope this begins to shed some light on the subject. Trip Review- Aruba. One Happy Island. Today's post is a departure from previous articles. Today I am going to review our recent trip to Aruba. My wife and I just returned from a two week trip to our favorite Island-Aruba. We own a timeshare at the Marriott in Palm Beach there. For those of you who aren't familiar with timeshare jargon, we have a 2 BR lock-off unit. That means it's a 2 BR unit that can be "split" into a one BDRM suite (full kitchen, LR, DR) and a second efficiency unit (more like a regular hotel room with a connecting door). If you want, you can use the whole 2 BR suite for one week, or you can"lock off" each of the two units separately for one week each. We chose the latter option this year so we we could stay in Aruba for two weeks consecutively. We have been going to Aruba at least once a year for several years now. I understand why they call it "One Happy Island". If anyone is interested, we do rent out the unit periodically. PM me and I can give you details. Before anyone jumps on me about is a timeshare worth it, that really depends on how you use it. We bought ours on the resale market for 1/3 cost of what Marriott sells them for. We have an annual fee that is very reasonable. As long as we pay the annual fee, we have the unit's guaranteed use during the year. Marriott recently switched over to a point system. You "buy" X number of points to be used at anytime at any Marriott. Great if you need flexibility. You can book as many days as you like. I am locked into one week intervals and check in from Th-M. That's OK for us since we take multiple vacations each year. We know one of them is Aruba. If we want to trade our unit for a different destination, we can still do that. The points option doesn't seem like a good value to me. If you are interested in seeing what the resale market on timeshares looks like, visit this site. It is a place to find timeshare rentals as well. I have no affiliation with them. I also know a broker who deals in resales. He helped us with negotiating for our unit. PM me if you are interested and I can get you in tough with Sammy. The Aruba Marriott property where we own is the second most requested timeshare of all the properties in the Marriott lineup. We have been returning to Aruba for several years now. In fact, this was our second trip there this year. The very first time we went to Aruba, we stayed with friends in their 2 BR unit. One day I was floating down the lazy river in my Phillies hat with my friend Mark (Mark talks to everyone). He started up a conversation with a gentleman from Pa who happened to also be a Phillies fan. This man was there with about 20 members of his family. He told me he and his family had been coming to Aruba for 20 years. He then proceeded to give us his list of the top ten reasons he returns to Aruba every year. What I have found over the past few years, is that there are a lot of people just like him. They return to Aruba year after year. This trip, I met a man in the elevator who had been coming to Aruba for 39 of the last 49 years! My wife and I have also fallen in love with this tiny Island off the coast of Venezuela. There are so many great places to eat in Aruba. I like to say that you could visit for a month and not run out of great meals. Our Favorite place in Aruba is Carte Blanche. It's a unique restuarnt. It only seats 14-15 people. You are seated in a semicircle around the kitchen. You have your choice of a 4 or 5 course meal, with or without the wine pairing. I chose the 4 course with the wine pair. My wife also had the 4-course meal, but without the wine pairing. She ordered two glasses of wine separately. Carte Blanche is as much entertainment as it is great food. It's owned by two guys, Dennis and Glen. Dennis is the chef and Glen is the Sommelier. Glen's job is to pair the wine with Dennis's food. Dennis's signature appetizer is cerviche. Glen's wine pairing with this dish was outstanding. You get choices of the main course, but thre is no menu. You pick from meat, fish or vegetarian entree. If you have special dietary requests, let them be known at the time of reservation. You probably need a reservation 6 months in advance. Currently they are located in front of the giant windmill. They are moving into a new location on the beach after the start of the new year. If you visit Aruba, make sure to visit these guys. You wont regret it. Price: Expensive. Two 4-course dinners, one with the wine pair and the other with two glasses of wine was $250+. My favorite day trip was the visit to the Arikok National Park and the trip to the Batholithic Rock formations. If you've been to Virgin Gorda to see "The Baths" it is the same type of rock formations, just not nearly as breathtaking. There is a great view from the top though. Another great thing to do is to visit the lighthouse at the northern tip of the island. Great views and a spectacular (and yes they are real) place to get a coconut smoothie with or without rum. We usually rent a car in Aruba, but it is not necessary. Driving around the island is VERY easy. There is one main road that takes you most of the way around the island. There are a few traffic lights and circles. It's hard to get lost unless you wander off the main roads too far and get stuck in a neighborhood at night where it is very dark. Diving or snorkeling Aruba's wrecks is another popular thing to do. My favorite spot to snorkel is a little cove on the way to the Lighthouse. That is where one of the dive wrecks are located. My adult kids and their friends did the "Pirate" snorkel adventure. There was all day drinking and snorkeling. There's also have a rope swing that everyone enjoyed. We have never been to the Natural Pool on the eastern side of the island. It is not accessible by car. There are Jeep tours, but if you have neck and back problems, it may not be for you. VERY bumpy. You can rent quads, but there have been reports of people being killed on the way there riding on them. Lastly, there is Baby Beach. It's probably worth the hour drive to visit once. The water and beach are beautiful. Great place to snorkel. There are no chairs to sit, and not a lot of shade. The food and bathroom options aren't great either. People have drown there getting caught in the rip currents, so be careful not to wander into open ocean. Aruba is one of the A,B,C islands. The others being Bonaire and Curacao. There is great windsurfing in Bonaire if you are looking for a day trip. The synagogue in Curacao is the first in the Western Hemisphere, complete with a sand floor. There you have it? Did you find this helpful? Easy Star Alliance Status - No Bag Fees! What if I told you that you could have almost instant Silver Status and easy Gold Status on all Star Alliance partners and be able to maintain that status for up to three years? Star Alliance carriers in the US are United and US Air, but there are 25 more partners around the World. Star Alliance Silver Status would entitle you to your first checked bag free (that saves $50 pp/RT) and gets you priority check in and boarding on both US Air and United. In the days where everyone is bringing massive amounts of carry on luggage to avoid bag charges, having priority boarding ensures that you will get overhead luggage space on full flights. Gold Status would also give you lounge access as well, but unfortunately may not help with upgrades. These are great benefits for the occasional flyer. All that's necessary is for you sign up for a little known, but highly praised Aegean Airline's Miles and Bonus Program. Both my wife and I recently signed up for their program. When I signed up, I was given 2000 bonus miles. It only takes 2000 more miles to become a silver member. You're now saying to yourself, "but I'm not going to fly 2000 miles on Aegean airlines". That's OK, you don't have to. All you have to do is fly on a Star Alliance partner like US Air or United. On your next flight, credit your miles to your Aegean Airlines account. My recent trip from Philadelphia to Aruba credited 3922 miles to my Miles and Bonus account. When I checked into my account last week it showed 5922 miles and Blue status. Blue status is the equivalent of Star Alliance silver. Next time I go to Aruba, I won't pay bag fees! I now need just over 10,000 miles to have Star Alliance Gold status. I have two years to fulfill that requirement. The best news is I was told that my status could last up to three years! I guess that means I have to go back four more times to Aruba in the next two years. The things we have to do... ugh! The Southwest Airlines companion pass is probably the best perk in the entire airline industry. Most companion passes are good for one use only and they come with at least a $99 fee for the companion. The southwest Companion pass is good for up to 2 years and is reusable over and over again. The fee is only $5 for the companion (security fee). Now is the perfect time to prepare yourself to earn the companion pass in 2013 so that it is good for ALL of 2014 as well. Here's how. You must first apply for the Southwest Airlines Business and Personal cards. There is a $69 annual fee for each card that is not waived for the first year. Each card comes with 50,000 Rapid Reward miles as a sign up bonus with a $2000 minimum spend requirement within 3 months. The $1000 minimum spend requirement is very reasonable. For easy tips to meeting the minimum spend requirement, click here. Once you have both the business and personal cards and you meet the minimum spend requirements you will have 104,000 Rapid Reward miles in your account. You only need to earn another 6000 miles to receive the companion pass. The timing of this is very important. 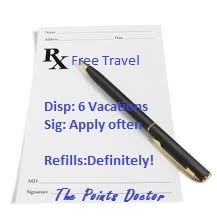 You need to meet the minimum spend requirement and earn the points in January of 2013 if you are going to take advantage of the two full years of the companion pass. Once you have reached 110,000 Rapid Reward miles in the calender year, your pass is good for all of that year and all of the following year. In other words, if by mistake you got your 110,000 miles posted in December of 2012, your pass would only be good for the rest of 2012 and all of 2013. The easiest way to get your 6000 points is by transferring from another program. While Southwest is a partner of Ultimate Rewards, you can't transfer UR points DIRECTLY from UR to Southwest because those miles don't count as qualifying miles toward the companion pass. You need an extra step and you need to use more points. You must first transfer 17,000 UR points to Hyatt. Then you will convert 17000 Hyatt points to Southwest for 7800 Rapid Reward Miles at a ratio of 5000 Hyatt to 2400 Rapid Reward Miles. That's all there is to it. For a $2000 minimum spend, $138 in annual fees and 17,000 UR points you will have "earned" the companion pass which can be good for over $3000 in free travel on just the points alone. The companion (that you must designate-but you can change that 3X/yr) travels on the same itinerary, pays $2.50 each way for the security fee. The best part of all is that it doesn't matter if you pay cash or points, the companion still flies free! I really never understood why anyone would buy miles for their Frequent Flyer account. If I could “earn” 1 mile per dollar spent on my credit card (or sometimes more), paying more than a penny per mile to purchase them never seemed to make economic sense. OK, I understand there might be times that you need to top off an account to purchase an award ticket that you would like to book NOW!But, to go to the airlines and say “I want to buy 50,000 miles” seems crazy to me! I don't care that you use it for aspirational award travel and can get 5 cents per mile for your 1st class seat. I was reading one of my favorite blogs the other day. The author is one of the most respected Bloggers on the subject of points and miles. He is widely considered to be an expert on the subject. His blog has some great tips and he seems to really know how to work the system. In this particular post he was touting this great American Airlines promotion to purchase miles. He went through all the calculations in detail showing how the cost was just slightly more than 2 cents per mile. He then said this is the lowest price he’d EVER seen from AA! He did stop short and say that unless the price was about 10% less, even he still wouldn’t buy them. That brings me to today’s point. Universally among all the Bloggers is the concept of “my points are worth X cents each, and I need to use Y number of points, so X times Y = $Z. Therefore using my points will cost Z dollars. If the room charge or flight is more than Z dollars it makes sense to use points. If the room charge or flight is less than Z dollars, it makes more sense to use cash. Now it’s slightly more complicated than this because you have to factor in things like taxes, resort fees, etc. You also have to factor in things like miles or points earned for the stay or flight if you pay cash. Award stays and flights generally don’t earn stay credit or award miles toward status. I believe that this kind of valuation is completely wrong! Our parents taught us, and we have taught our children the value of a dollar. We make purchasing decisions every day for small items and big ticket items based on intuitively what we know is the value of a dollar. When it comes to points and miles, we aren’t quite so well versed in their value. First of all, what is the value of a dollar? It means vastly different things to different people. To someone who has an 8-figure net worth $1 means very little. To someone who just makes ends meet $1 is very valuable. Something is only worth what someone else is willing to pay for it. The ONLY reason something doesn’t sell is that the price is too high. At some price everything will sell. We see this all the time in real estate. Someone puts their house on the market and it sits there for 60-90 days. What does the realtor tell them to do? Drop the price. When the price drops to the point that someone is willing to pay, the house sells. That's what it was worth. So how do we make these decisions about the value of something? We subconsciously think to ourselves “how hard do I have to work to replace the dollars that I need to spend for the item I am purchasing”? We make these decisions every day. Most of them are intuitive. If the item costs a $2, you don’t think about that decision the same was as if the purchase price is $250,000. OK, so how does this apply to points and miles? Let’s use an example. You want to book a flight that costs $450, but you can only find an award seat for 50,000 miles. so I use $450 from my bank account or do I use 50,000 miles from my FF account? Let’s assume for this demonstration, it is last minute and you really need to book that flight right now. Using the conventional method of valuation, it would probably be best to just pay dollars for the flight. You would also earn miles for the flight toward status. Placing the standard valuation of 1 point per mile you would be “spending” $500 in miles. Points and miles are just like any other currency. You earn them, and you spend them. The difference here is that you can only spend miles on limited forms of travel. In general, the longer you hold them, the less they are worth due to devaluation by the airlines. Dollars on the other hand are a universal currency. If we think of points and miles in the same way we view dollars, valuation takes on a different meaning. How hard do I have to work to replace the miles or points I am about to spend? Let’s say that you have $5000 in your checking account and 50,000 miles in your frequent flyer account. If you purchase an award ticket with 50,000 miles, you still have $5000 in your checking account, an airline ticket and an empty FF account. On the other hand, if you purchase the ticket, you will have $4500 in your checking account, an airline ticket and 52,500 miles in your FF account. (Let’s assume that you earned 2500 miles for the flight). Now how hard to you have to work to recover those 50,000 miles or the $500? I will leave the $500 portion of the question up to the reader. If I apply for a new credit card that has a 50,000 mile sign up bonus with a minimum spending requirement of $2500, I need to spend $2500 from my checking account to obtain those 50,000 miles. What if I don’t need $2500 worth of stuff right now? Here’s the simplicity of it all and why the “experts” are wrong. If I purchase $2500 worth of VISA or MC gift cards with my new credit card, (assume each gift card costs $5) I will have met the minimum spending requirement and will have replaced the 50,000 miles in my account. Now, what do I have left? I have $2475 in my checking account ($5000-$2500 in gift cards -$25 fee for the cards). But I still have $2500 in gift cards to spend. Since gift cards are almost exactly the same as cash, I have really only "spent" $25 to obtain the 50,000 miles! By my calculation, that’s a cost of just under .05 cents per mile as you actually now have 52,500 miles in your account. As far as I can tell .05 cents per mile beats 2 cents per mile any day. The airlines have to be laughing at us when we purchase miles like that! As far as Hilton points being the least valuable, on a point per point basis, yes they are not worth the same as a Starwood or Ultimate Reward point. I can however EARN Hilton points by the boatload! I get 6X Hilton points per dollar on purchases at supermarkets and drug stores and 3X points on everyday spending. With the new Bluebird card, I can purchase Vanilla Reload cards at CVS or Walgreens and earn them back at a very rapid rate. Again the question comes down to, how hard do I have to work to earn back Hilton points? In the end, we all have to be comfortable with the purchasing decisions that we make. I would never pay cash for a hotel or airline ticket if I could earn back those points so easily. Obviously this strategy will not always work as there are not always deals available when you need the points. The points and miles don't post right away either. There are times that paying for a flight or hotel room makes perfect sense. We just have to make an informed decision about the true value of points and miles. It's App-O-Rama time! That's the term card churners call the day they make multiple applications for credit. It's typically done every 91 days. Here is a list of reconsideration lines for different banks. If you get declined or an "Under Review" message, you simply call the reconsideration line right away and plead your case. Most times they just need more information to make an approval. We're going to make application to four different banks to accumulate 240,000 Hilton points in one day. Here's our list of cards. 1) Citibank -Hilton Visa. Sign up bonus 40,000 points. Minimum spend $1500/ 6 mo. No fee first yr.
2) Amex -Hilton Surpass. Sign up bonus 40,000 first purchase/ 20,000 $3000 spend/ 3 mo. $79 fee. 3) Bank of America -Hawaiian Air. Sign up bonus 35,000 miles. $1000spend / 4 months $79 fee. 4) Bank of Hawaii -Hawaiian Air. Sign up bonus 35,000 miles. $1000spend / 4 months $79 fee. Hawaiian Airline miles convert 1:2 to Hilton HHonors yielding 140,000 points. Here you have applied for 4 different cards from 4 different banks to receive a total of 240K Hilton points in one day. Chance of approval of all 4. Excellent! What do you do with 250,000 Hilton Points? Here is the standard Hilton award chart. No discounts. Here is a chart of VIP/GLON awards that you are eligible for by virtue of the fact that you have status with Hilton by owning these cards. VIP awards can't be booked online. The GLON awards are good for 4 nights or more and for category 3 or up. Here is the AXON (American Express ONly) award chart that you are eligible to use when you have a Hilton Amex card. The AXON awards are good for exactly 4 nights and good for category 5 through 7 properties. You can use multiple AXON awards back to back. In other words 4,8,12,etc. nights. From one day of applications, $237 in annual fees, and paying $6500 in bills, you could have 8 nights at a category 6 Hilton.